Skunk Cabbage is a rather degrading name for this beautiful flower. In some parts of the US the name Swamp Lantern (or Marsh Lantern) is used, which seems more appropriate. Well it does have quite an impressive aroma! Though I agree, it's hardly a flattering name. That's skunk cabbage? 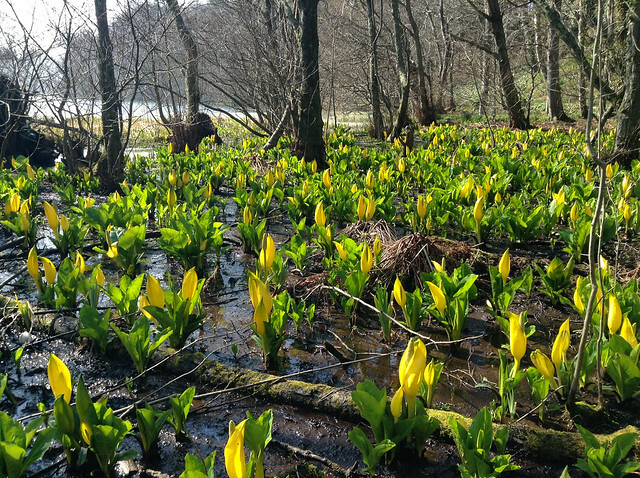 A plant of that name featured in a favourite Uncle Scrooge comic (The Twenty-four Carat Moon), wherein the alien got to deliver the line "Skunk cabbage! I live again!" 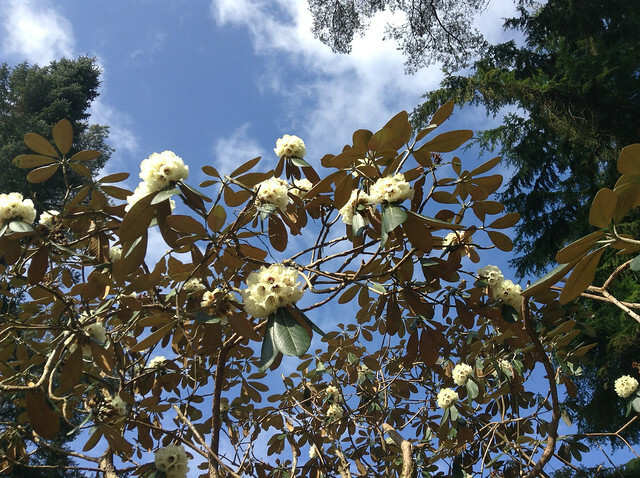 Rhododendrons in Scotland? Hmm, I would've thought it was too cold. Yup, a well-known pest across much of the highlands, though the more showy garden varieties are generally better-behaved. In the Japanese mountains, a small white version is widespread, which is (presumably) native. That must survive months of serious snow and sub-zero temps. Also in the Royal Garden in Edinburgh.